Come for the Friedman, stay for the Lippmann! Or vice versa! 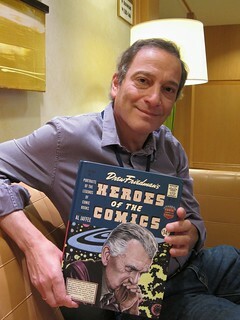 This week’s podcast features two great conversations: first I talk with Drew Friedman at Small Press Expo ’14 about his great new book of portraits, Heroes Of The Comics: Portraits Of The Pioneering Legends Of Comic Books (Fantagraphics), then Sara Lippmann and I solve the gender imbalance issue in literature, and the MFA vs. NYC issue, to boot! We talk about her debut short story collection, Doll Palace (Dock Street Press) , getting over the fear of writing, how she lost the Rolex account for GQ, and more! 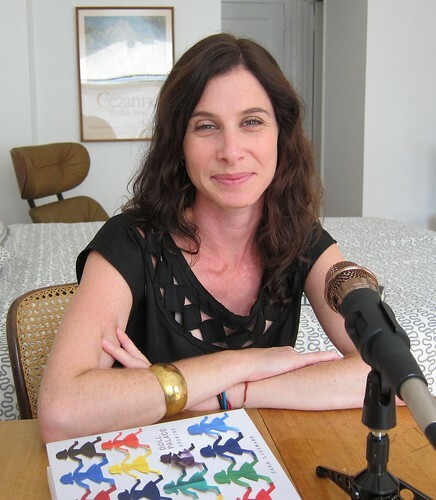 Sara Lippmann is the author of the story collection, Doll Palace (Dock Street Press) . Her stories have been published in The Good Men Project, Wigleaf, Slice magazine, Tupelo Quarterly, Connotation Press, Joyland and elsewhere. She is the recipient of a 2012 fellowship in Fiction from the New York Foundation for the Arts and co-hosts the Sunday Salon, a longstanding reading series in the East Village. Drew Friedman is an award-winning illustrator, cartoonist and painter. His work has appeared in Raw, Weirdo, SPY, National Lampoon, Snarf, The New York Times, MAD, The New Yorker, BLAB!, The New York Observer, The Wall Street Journal, HONK!, Rolling Stone, Field & Stream, TIME, The Village Voice, Entertainment Weekly, and more. His comics and illustrations have been collected in several volumes, the latest, Too Soon? , published by Fantagraphics in 2010. His collection of portraits, Drew Friedman’s Sideshow Freaks , was published by Blast books in 2011. He has published three collections of paintings of Old Jewish Comedians (1 , 2 and 3 ), but none of Old Episcopal Comedians. He also raises champion beagles with his wife, K. Bidus. You can find his full bio and buy his art at his fine art prints site and you really should read his blog. Credits: This episode’s music is Sure Shot by the Beastie Boys. The conversation with Drew Friedman was recorded at the Bethesda North Marriott and the conversation with Sara Lippmann was recorded at an undisclosed location on the Upper West Side on a pair of Blue enCORE 200 microphones feeding into a Zoom H5 digital recorder. The intro and outro were recorded on a Blue Yeti USB Microphone . Processing was done in Audacity and Garage Band. Photos of Ms. Lippmann and Mr. Friedman by me.